Many of you will agree that a candlelit room can create an immediate warm ambiance. You can take any ordinary dinner or event, and with the right mix of twinkle lights or candles it can become a magical gathering. Dark rooms turn into romantic settings. 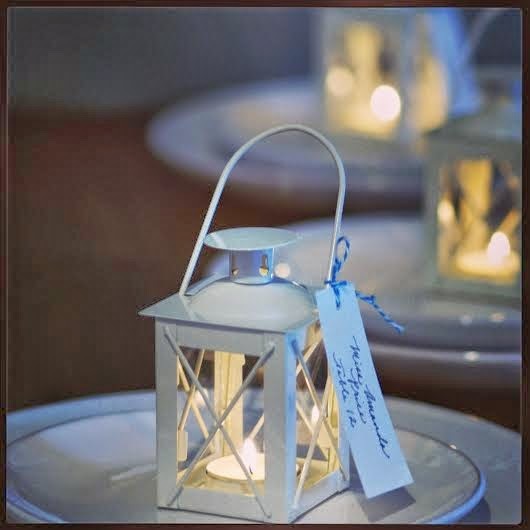 When looking for a wedding accent that can provide both a dramatic lighting effect, while doubling as a wedding favor, these small white lanterns with candles (or battery simulated ones) are the ideal solution. 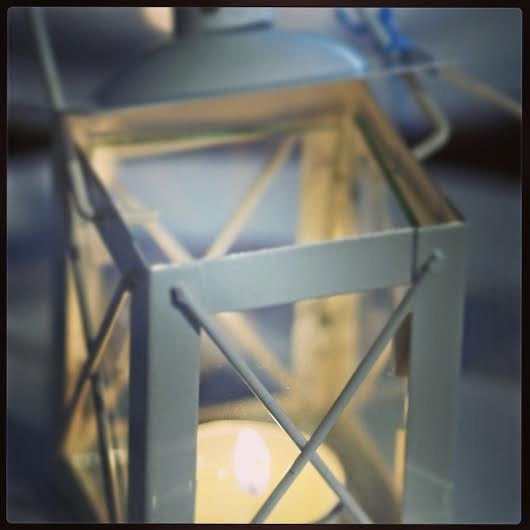 These lovely small metal lanterns can also be taken a step further and serve as clever table place cards. The idea featured here, was for a couple that really wanted to have each guest get to take their lantern home with them - but they also felt challenged with lighting a rather large - parse feeling room. In the end, we solved for several needs. We decided to use these lanterns as place card accents, which allowed for a creative means to help light the room, as well as provided for a lovely wedding favor. In order for this to work efficiently, we had the couple create a seating chart at the entrance of the event, which helped guide guests to their tables. Next, we had the names written on tags, which served as place cards. 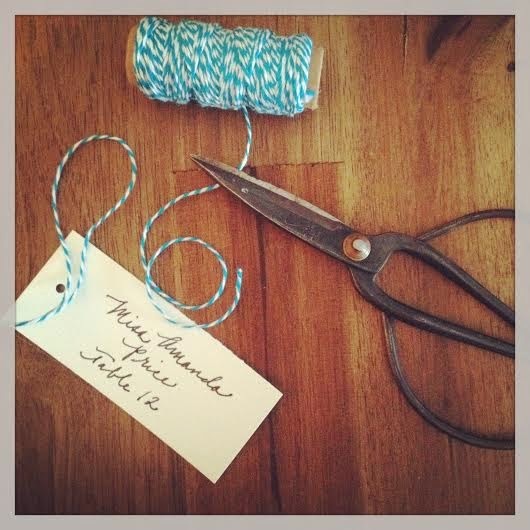 We hole punched them and used colored bakers twine - that complemented some of their other wedding colors - to tie them to each lantern. Once those were completed, the lanterns were given to the caterers for them to place at the proper tables. With the easy lift tops at the handles - they simply had the event staff light the candles (with those long handled quick lighters) just before the guests arrived. Having them at the tables, on each plate, rather then at the entry, solved the issue of having anyone needing to carry lit candles during the cocktail hour. It made for a very dramatic effect at the tables, plus everyone loved the reusable keepsake. Next time you want to throw a party, host a big event, or even create this same elegant and dramatic effect for your wedding - consider adding these lanterns to your list.